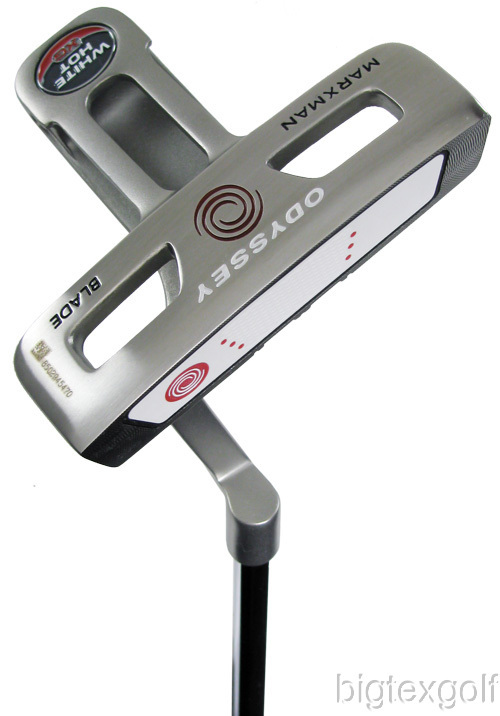 Two Hi-Def alignment stripes running the length of the putterhead make lining up putts easier and more accurate. Multi-layer insert combines two materials with different properties to take the level of feedback, feel and distance control to an all-new, extreme level. Multi-layer insert allows weight to be shifted to the perimeter of the putterhead for a high moment of inertia, better stability during the stroke and a truer roll. In-line weighting with mass centered low and deep on the target line provides true roll and solid feel. The high moment of inertia provides amazing stability and helps keep the putter on-line during the stroke.